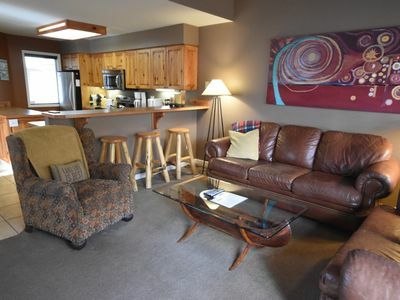 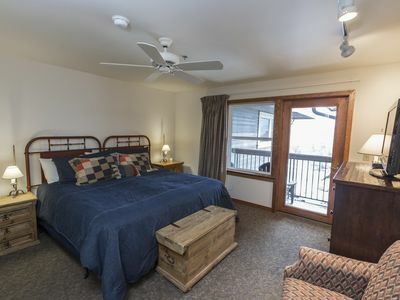 Welcome to our cozy cabin on Big Mountain in Whitefish Montana! 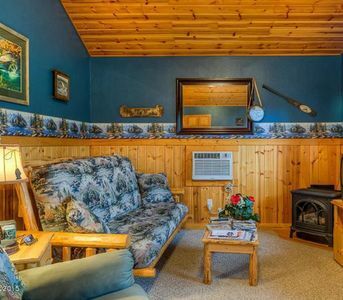 Our cabin has three bedrooms and two full bathrooms, livingroom with gas fireplace, sitting room upstairs,kitchen and dinning area. 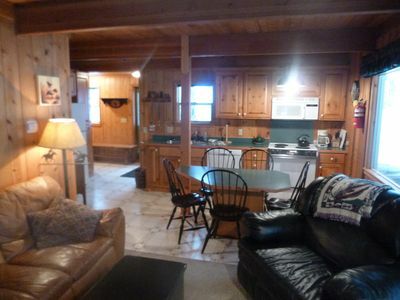 There is a washer/dryer with detergent. 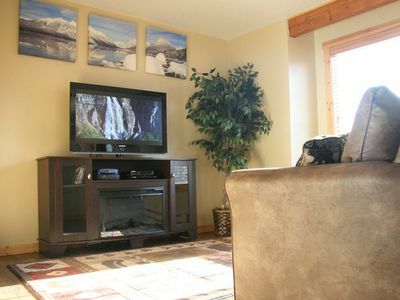 Cable TV, a/c and wifi and landline phone which has long distance in U.S. and Canada is included. 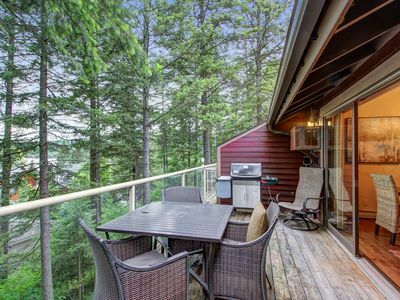 This cabin features a large wrap around deck with gas grill, private hot tub ,sitting area all facing a peaceful pinetree forest. 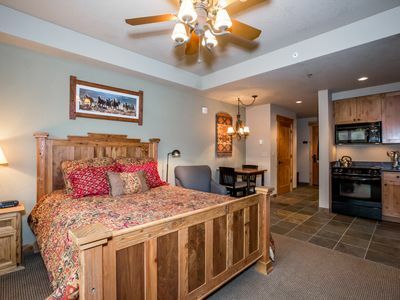 You are 200 yards from the Home Again ski run which will take you to the base lodge and chair six. 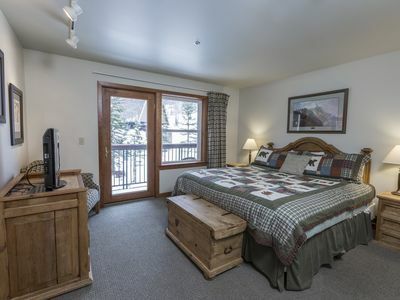 Upon finishing skiing you can ski off run and walk 150 yards back to house or ski down to base lodge and take free village shuttle to front door. 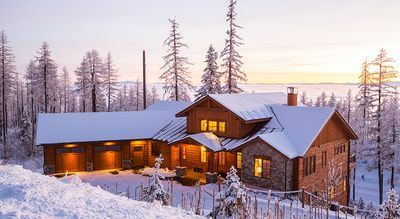 The ski village is a 200 yard walk. 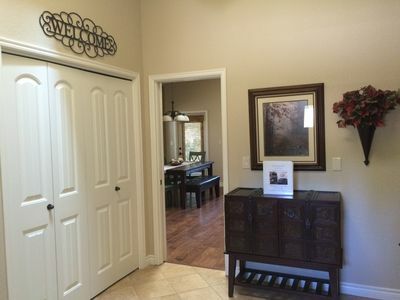 Our kitchen is fully stocked with all the cooking utensils and spices you could ever want. 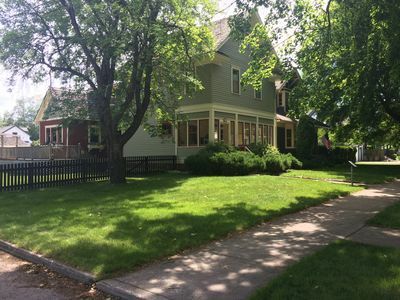 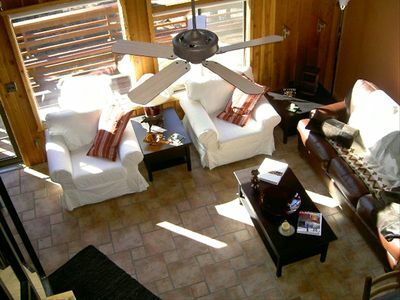 If this duplex is booked visit our other condos on www.vrbo.com/76653 or /430639 or /622228 or /497280. 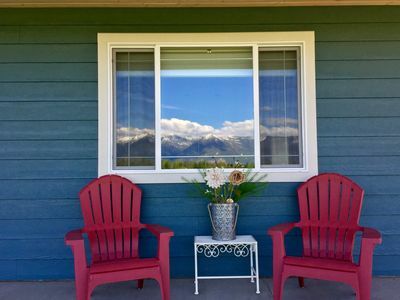 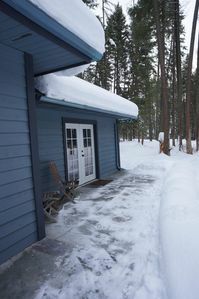 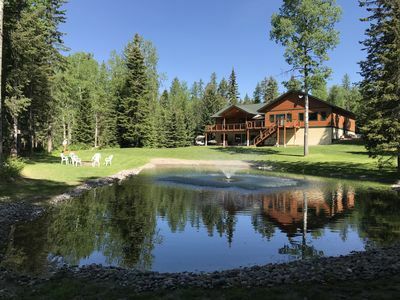 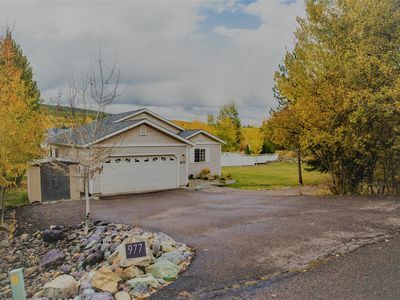 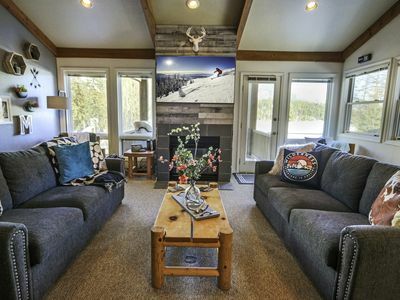 3 BR 3 Bath w/ Hot Tub in Meadow Lake, Close to Whitefish & Glacier Park! 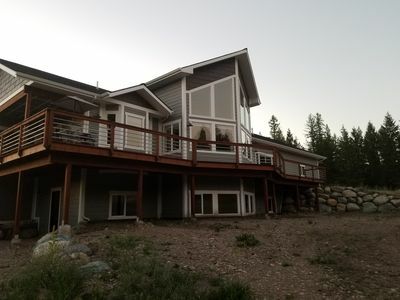 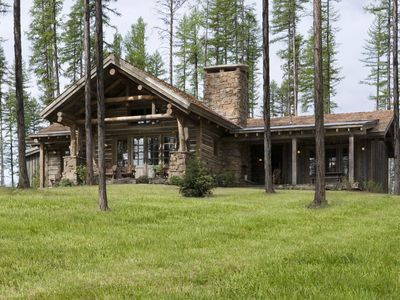 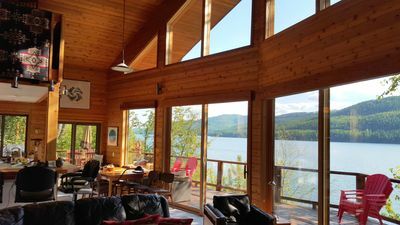 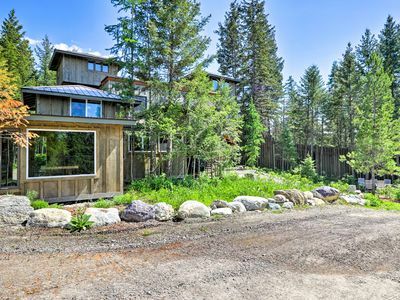 Echtra Cabin is a stunning 5-bedroom, 4-bath home with majestic views.